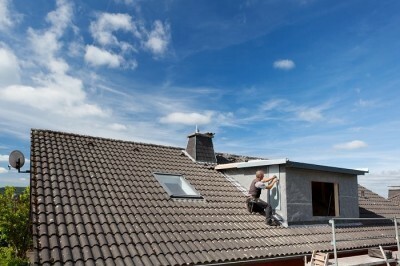 Are you hunting for the best roofing companies Poole has to offer? Then you have landed on the right page as ProRoofing is the first choice for homeowners and businesses alike. From new roof installations, repairs and general maintenance, we are the company for you to choose today. Give us a call today on 01202 518763 to get your very own personalised quote. There’s a lot of options on the internet for roofing companies Poole, and it can be hard for you the customer to go through all of the options to make sure that you are getting a good deal. With decades of experience, you can relax knowing that we know how to do the job and do it well. ProRoofing offers both domestic and commercial customers a wonderful range of solutions that will stand the test of time. Does your current roof need an upgrade or replacement? Then our new roof service is perfect for you. We provide a huge array of different styles to suit every customer and their property. As the number one Poole roofing companies choice, you can be certain that our team will install all work is completed to the industry’s highest standards. The weather or old age can have a negative impact on your roof, and can lead to a whole host of different problems ranging from leaks and much worse. Our Poole roofing companies is the first port of call if you suspect that your roof has been damaged. The team will inspect your roof carefully and make an assessment, which will then be delivered to you in the shape of a quotation. With our free quotation service, you can make sure that you budget effectively and that we are the right roofing companies in Poole choice for you. In addition to our wide-ranging domestic service, we provide services for industrial and commercial properties of all sizes. Whatever you need, from a bespoke maintenance package to keep your roof looking great throughout the year to roofing repairs – ProRoofing is the first choice when it comes to roofing companies Poole. We will ensure that your roof lasts longer and looks better than ever before. All services are bespoke to your needs, and with a quote that is FREE of charge, you cannot go wrong with choosing our roofing companies in Poole. By selecting ProRoofing, you will get an inspection for free, method statements, to project management and development planning. reliability, and our excellent customer service. 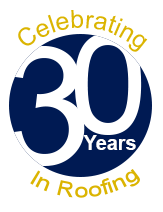 With over 30 years to our Poole roofing companies name, it is no surprise that we are the first port of call for businesses and domestic homeowners. We offer peace of mind and a service that is renowned throughout the local area for the quality. In the event that disaster should strike, you will be pleased to know that we offer a 24/7 emergency repairs service for your roofs and chimneys. All members of our roofing companies Poole are trained to the industry’s highest standards and possess many qualifications to complete all jobs safely and well. We never cut corners and use the best quality products where possible. As we have invested a lot into our products and team, we are very confident to offer a 10 year guarantee (do ask a member of staff for more details on our guarantees). Get your free roofing companies Poole quote now by calling ProRoofing on 01202 518763.